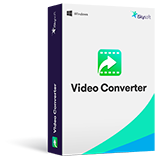 Convert MPG, MP4, 3GP, WMV, MOV, AVI, FLV, M4V, MP3 and more video/audio formats. Convert video files with zero quality loss at 90X faster speed than usual. Directly load files to the video converter from your mobile devices or camcorders. Convert DVDs to different formats for playing on mobile phones, tablets or Windows PC, etc. Easily burn any video to DVD folder or ISO files if you want. Built-in video editor enables you to crop, trim and rotate your videos, or add subtitles/watermarks. Easily transfer your converted video files to your iPhone, iPad, Samsung or other Android devices. Technology which is transforming your photo in illustration, opening the new skylines of personalization in the Net. In a moment your photo is transforming to unique digital picture. User is becoming an owner of engaging portrait. Amazing. The best summarized marketing education I have gotten in probably less than an hour.